Welcome to the Physics Front! 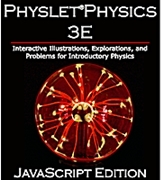 Here you can find teaching resources for your physics and physical science classes. This multi-day inquiry-based module on light and color includes a wealth of teacher and student guides and information. Topics include absorption, emission, additive and subtractive color, color mixing along with several hands-on activities. This resource is appropriate for students in grades 8-12.